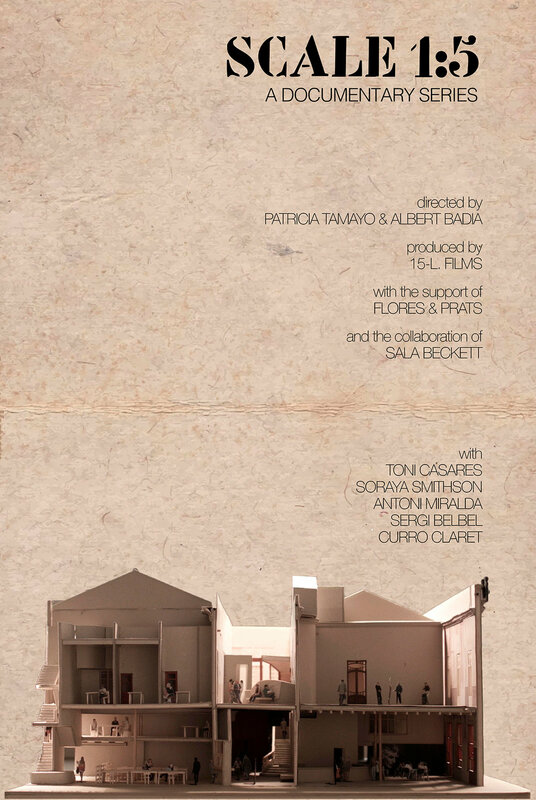 By now, the walls of The Sala Beckett Theatre and International Drama Centre in Barcelona, aka Sala Beckett, has witnessed a century of theatrical history. It has housed theatre companies, a workers club, and—after it essentially was abandoned—an experimental theatre company called the iconic building its home. As it suffered the inevitable consequences of neglect, architects Ricardo Flores and Eva prats were commissioned to restore the old building, and they did so with filmmakers 15-L. Films peeking over their shoulder. "The ruinous state in which we found the building was of interest, not because we wanted to restore it, but rather to take the ruin forward and make it participate, with its unfinished character of superimposed periods, in a new reality that would continue to be updated on this foundation. (...)The challenge of the project is therefore to adapt the building to its new use without banishing its ghosts," Ricardo Flores and Eva Prats, states in a press release. The result of the participation of 15-L. Films is titled ESCALA 1:5 — a 5-episode mini documentary giving a thorough insight into the creative process of the architects. In addition to celebrating the emotional engagement of the people associated with the theatre, each episode focuses on a crucial building component, ultimately structuring a narrative that mirrors both the creative and the renovation process: Roofs and Walls, Doors and Windows, Pavements, Stairs, and Furniture. At the end of the road, The Sala Beckett was awarded with the City of Barcelona Architecture Prize, the Living - Spaces Simon Architecture Prize, and is shortlisted at the Beazley Design of the Year, the ENOR Awards, the FAD Architecture Prize and nominated for the Mies van der Rohe Award 2017. The documentary, which is directed by Albert Badia and Patricia Tamayo, was initially premiered at the Girona cinema in Barcelona December 14. 2017, but is now available for streaming on Vimeo.